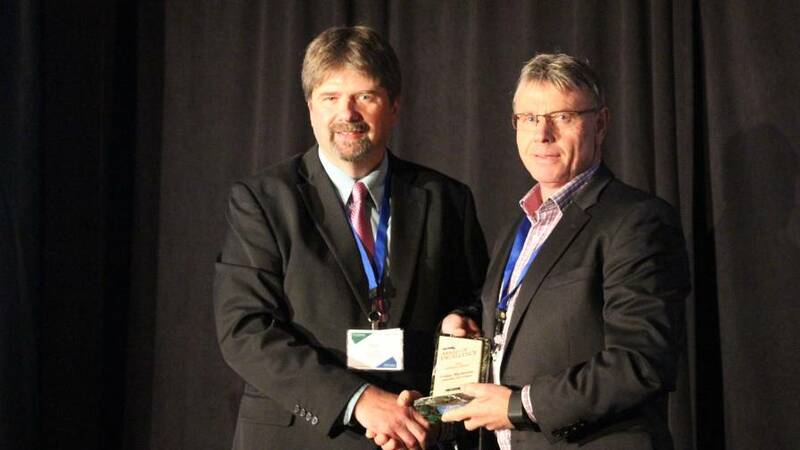 PrecisionAg Executive Editor Paul Schrimpf (left) presents New Zealand farmer Craige Mackenzie with the 2016 PrecisionAg Award of Excellence during the InfoAg Conference in St. Louis. 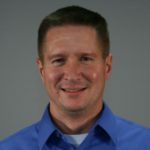 Editor’s Note: The PrecisionAg Awards of Excellence program honored the class of 2016 winners during the InfoAg Conference. This year’s winners include Ag Partners (Crop Adviser/Entrepreneur Award); Brian Arnall, Oklahoma State University (Extension/Research Award); Craige Mackenzie, Methven, New Zealand (Farmer Award); and Marvin Stone, Oklahoma State University (Posthumous Legacy Award). Here is an up close look at Craige Mackenzie, Greenvale Pastures and Three Springs Dairies, Methven, New Zealand. Precision agriculture was not a term that was talked about in New Zealand pre-2005. It was considered to be a concept that was best suited to the broad-acre farming of the Americas and Australia — not to the smaller, intensive farm systems in New Zealand. Craige Mackenzie, who has been an innovative dairy and crop farmer since 1984 in the town of Methven, has helped to change that in a dramatic way. “Craige’s work within New Zealand and globally to advance precision agriculture has been outstanding. He is one of a rare group of people who has the ability to mix equally with a wide range of people from politicians to researchers and academics to farmers. His influence throughout these groups and wider is significant,” says Raj Khosla, Professor and Assistant Dean at Colorado State University’s College of Agricultural Sciences. In 2010 Mackenzie along with daughter Jemma established Agri-Optics Ltd., New Zealand’s first precision agriculture service company, which provides precision ag tools and services to New Zealand farming systems, with a focus on field sensing and spatial data management solutions. Agri-Optics is now recognized as New Zealand’s leading precision agriculture company. He was a leading force in establishing the Precision Agriculture Association of New Zealand (PAANZ) whose mission is to increase the awareness and use of precision ag technologies in land-based primary production systems. His farm is an intensive, fully irrigated cropping operation growing a wide number of specialist seed crops. In addition, he runs a high-output dairy farm milking 1,200 cows on 320 ha. The adoption of precision agriculture technologies has resulted in improved seed quality and yield with reduced inputs. 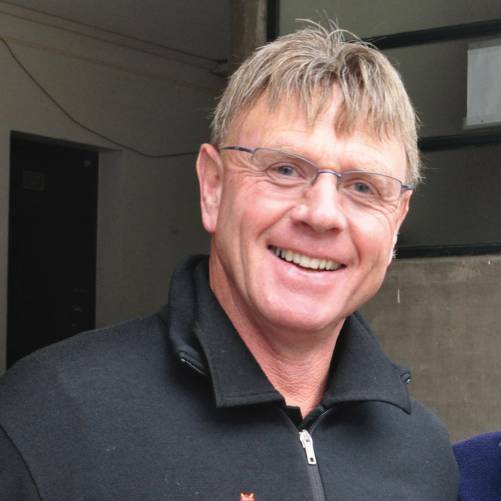 “Craige continues to be the leading advocate and role model within New Zealand guiding farmer acceptance and adoption of precision farming techniques along with political approval and endorsement. His impact on precision agriculture is genuine, significant and outstanding,” says Khosla.